When it comes to choosing SD-WAN software, requirements vary widely for each buyer. An enterprise that frequently adds new locations, for example, might require SD-WAN software that offers scalability, while a financial company might be more concerned about choosing one with agile security features. 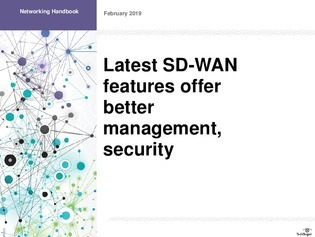 Read this handbook to explore a handful of SD-WAN features, including traffic management and built-in analytics, and learn how to determine which features you need. Also, find out areas where vendor differentiation is lacking and where SD-WAN could use some help.